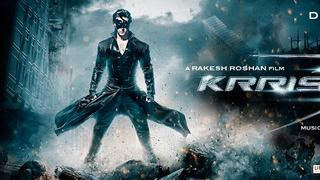 Krrish 3 is an upcoming Bollywood superhero science fiction film. The film will be produced and directed by Rakesh Roshan. The film will continue the story of Rohit Mehra and his superhero son Krrish, after Koi... Mil Gaya and Krrish, this being the third film of the Krrish film series. Both the earlier films have received blockbuster status at the box office. The film will be released during Diwali 2013 along with its 3D format on November 4.